Famous people get real about their experience with substance abuse. One of the hardest things about being famous must be how invasive the general public can be when it comes to your private life. Whether it's their relationships, their weight, or their experiences with drug and alcohol abuse. Here, 12 celebrities open up about their own addictions. "I had to stop [smoking pot]", Lady Gaga candidly revealed on the Elvis Duran radio show in November 2016. "I was addicted to it. Although I think it's the best drug to choose from when you're playing around and experimenting, I just want young kids to know that you actually can become addicted to it, and it's ultimately a form of self-medication. I was smoking 15 to 20 marijuana cigarettes a day with no tobacco." On the topic of going to counseling to battle his drug and alcohol addiction, Zac told Hollywood Reporter in May 2014, "I was drinking a lot, way too much. It's never one specific thing. I mean, you're in your 20s, single, going through life in Hollywood, you know? Everything is thrown at you. "It's a never-ending struggle, [but] I just started going [to counseling]. And I think it's changed my life. I'm much more comfortable in my own skin. Things are so much easier now." 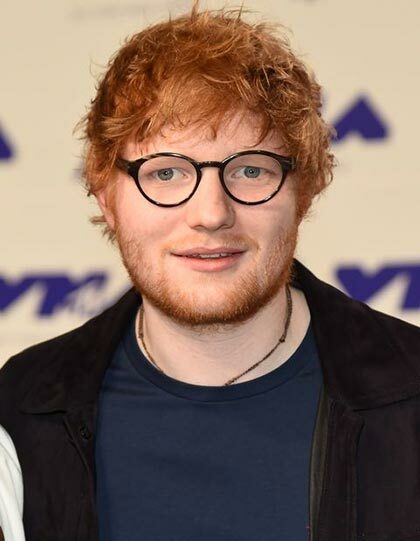 "I didn't really notice it was happening," Ed said of his drug addiction on The Jonathon Ross Show. "It just started gradually happening, and then some people took me to one side and were like, 'Calm yourself down.' It's all fun to begin with; it all starts off as a party, and then you're doing it on your own and it's not. So, that was a wake-up call and taking a year off." "I wasn't ready to get sober", Demi says in documentary Simply Complicated of her 2012 relapse. "I was sneaking [cocaine] on planes, I was sneaking it in bathrooms, sneaking it throughout the night. I went on a bender of like, two months, where I was using it daily. "I would sneak out and get drugs, I would fake my drug tests with other people's pee.There was one night when I used a bunch of coke and I popped a few Xanax bars, and I began to choke a little bit. My heart started racing, and I thought to myself, 'Oh my God, I might be overdosing right now'." 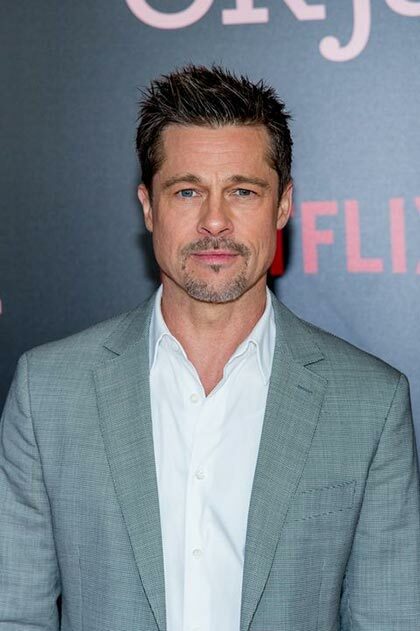 Brad covered GQ Style in May 2017, and opened up about how he couldn't remember a day "since college" when he hadn't smoked weed. "I was boozing too much. It's just become a problem", he said. "I can't remember a day since I got out of college when I wasn't boozing, or had a spliff, or something. I mean, we have a winery. I enjoy wine very, very much, but I just ran it to the ground. I had to step away for a minute. Truthfully, I could drink a Russian under the table with his own vodka. I was a ­professional. I was good." "From ecstasy it went to crystal meth," Fergie said on Oprah Winfrey's Next Chapter in October 2012. "With any drugs, everything is great at the beginning, and then slowly your life starts to spiral down. [I was] 90 pounds at one point. What got me through it was a lot of therapy, soul searching, discovering why I took the drugs in the first place, because that's really what it is." "When I was 10-years-old, I was sitting in a room with a group of young adults who were smoking pot," Drew said in an interview in December 1990. "I wanted to try some. Eventually, that got boring, and my addict mind told me, 'Well, if smoking pot is cute, it'll also be cute to get the heavier stuff like cocaine.' It was gradual. What I did kept getting worse and worse, and I didn't care what anybody else thought." 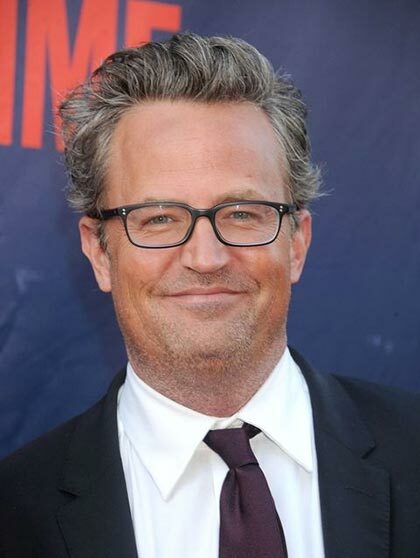 Matthew Perry told PEOPLE in August 2013 that a skiing accident led to an addiction to prescription drugs when a physician prescribed him Vicodin. "I felt better than I ever felt in my entire life. I had a big problem with pills and alcohol, and I couldn't stop. Eventually, things got so bad that I couldn't hide it, and then everybody knew." "I got so much so fast that nothing really excited me anymore," Ritchie told PEOPLE in August 2007. "I kind of took matters into my own hands and was creating drama in a very dangerous way. At 18 I had just been doing a lot of cocaine." By her early 20s, Ritchie was doing heroin. "I, again, made the decision for myself, this is something I have to do. I have to get off drugs. This isn't the life. This was heroin." 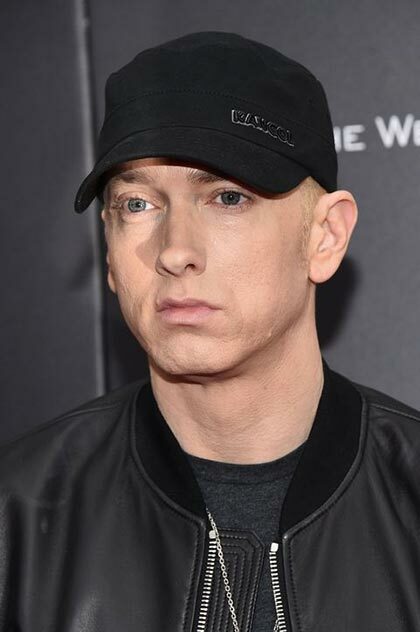 Eminem told MTV in 2013 that his addiction to drugs was at its worst in 2005, commenting, "The doctors told me I'd done the equivalent of four bags of heroin. Had I got to the hospital about two hours later, I would have died. My organs were shutting down. My liver, kidneys, everything. They were gonna have to put me on dialysis. They didn't think I was gonna make it. My bottom was gonna be death." "I went through heavier, darker times and I survived them. I didn't die young," Angelina said during a 60 Minutes profile in November 2011. "So I am very lucky. There are other artists and people that didn't survive certain things. People can imagine that I did the most dangerous, and I did the worst. For many reasons, I shouldn't be here," said Angelina. "You just... too many times where you came close to too many dangerous things, too many chances taken too, too far." "I tried cocaine, which I instantly loved but eventually hated," Amy explained in her 2014 memoir Yes Please. "Cocaine is terrific if you want to hang out with people you don't know very well and play Ping-Pong all night. It's bad for almost everything else. The day after cocaine is rough."